We are now just one week away from Digital Health Rewired and we are in our final week of Rewired Speaker Profiles. This time round we are speaking to Afzal Chaudhry who is the the Chief Medical Information Officer at Cambridge University Hospitals Foundation NHS Trust (CUH) and the vice-chair of the Professional Record Standards Body (PRSB). The consultant nephrologist has taken the lead with CUH’s eHospital programme which includes delivering a trust-wide HIMSS Stage 6 electronic patient record. At Rewired Dr Chaudhry will be speaking about the early lessons learnt from adopting standards alongside the likes of Jacqui Cooper, CNIO at Wirral University Teaching Hospital and Dr James Reed, CCIO at Birmingham and Solihull Mental Health NHS FT.
We asked him why he thinks Digital Health Rewired is a must-attend event of 2019. Why have you chosen to speak to at Rewired? At CUH, we’ve been implementing standards for information sharing for the past two years, and have seen a range of benefits. As the PRSB continues to develop standards to support the safe and effective delivery of care, it’s time to raise awareness about putting these into action. I’ll be sharing my experiences to help and support other organisations to improve the quality and safety of care. What do they think people attending the event will get from it? As well as the opportunity to network, attendees will have the chance to learn from other organisations who are going through the digitisation process. We’ll be discussing the challenges and benefits of technology in health and care, and engaging the audience in important discussions about how digitisation will impact the future. Cultural change within health and care is integral to building a digital ready workforce, and implementing standards. The Rewired Conference will be a chance for leaders across health and care to really engage with the key topics impacting this digital development, so they can take back knowledge and advice for their own organisations. 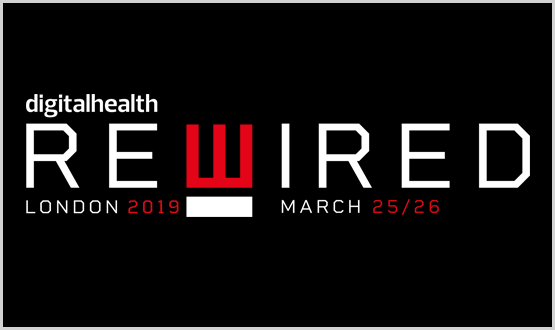 Digital Health Rewired is the new two-day conference and exhibition in London focused on connecting NHS IT leaders and their teams with the latest disruptive digital health technologies. The show includes keynotes from Secretary of State Matt Hancock and Doug Gurr, UK MD of Amazon, speaking in his capacity as Chair of the British Heart Foundation. Day one of Rewired, 25 March, will begin with the fourth edition of the Digital Health Leadership Summit, now renamed the Rewired Leadership Summit. The Rewired Leadership Summit will bring together health CCIOs, CIOs, CNIOs and C-suite colleagues to address the leadership challenges of digital transformation. An evening of networking will follow. On day two, 26 March, the action shifts to Level two Olympia Exhibition centre for the Digital Health Rewired Conference and Exhibition, an exciting integrated conference and exhibition, that will showcase some of the very best local and national work of digital trailblazers in health and care. The Rewired Conference and Exhibition has eight tracks and over 100 speakers presenting. Other speakers include Asif Qasim from MedShr, Joe Harrison from Milton Keynes University Hospital, Cleveland Henry from UKCloud Health. Why not register your place today? How are digital health pioneers embracing open innovation platforms?